Kitten season is in full swing across the country. 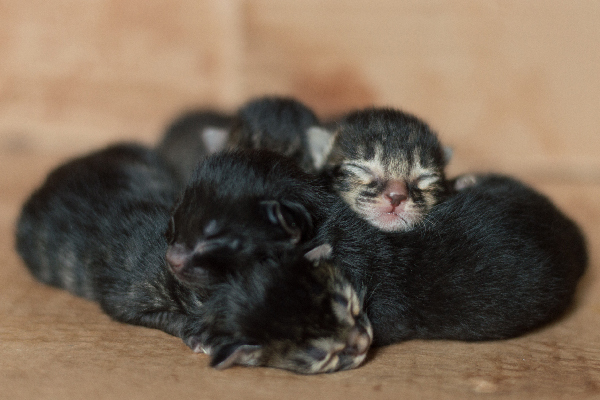 Although kittens can be born throughout the year, the majority of litters are born in the summertime. Sometimes the kittens are rescued with their mothers, and sometimes they have been orphaned. 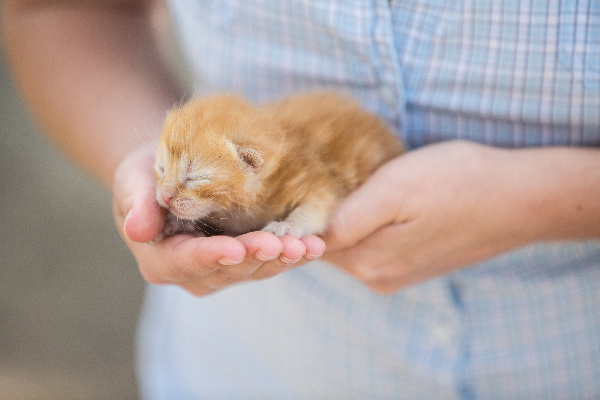 It’s crucial for any animal lover who happens upon an abandoned kitten to recognize what type of help he will need, and this information starts with knowing how old the kitten is. One of the main indicators of a youngster’s age is whether or not his eyes are open. His age will determine how much and what type of care he will need to survive. So, when do kittens open their eyes? Let’s find out about one of kitten season’s most important pieces of lifesaving information: What to do if you find an orphaned kitten who still has his eyes closed! When do kittens open their eyes? 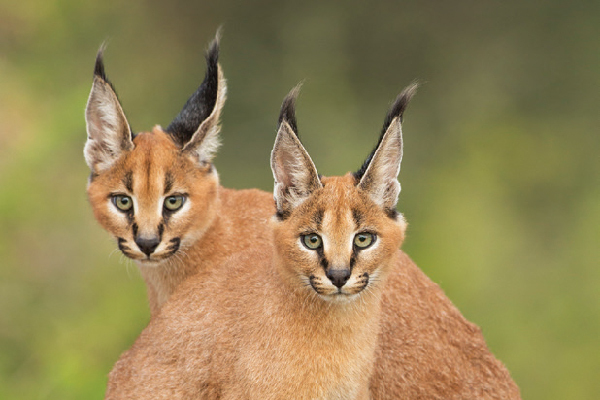 Photography © Scharfsinn86 | iStock / Getty Images Plus. Kittens are born with their eyes tightly shut. Keeping their eyes shut following birth allows for their eyes to continue to develop. Because newborn kittens are also hypersensitive to light, it’s imperative that their eyes remain shielded until they are ready. 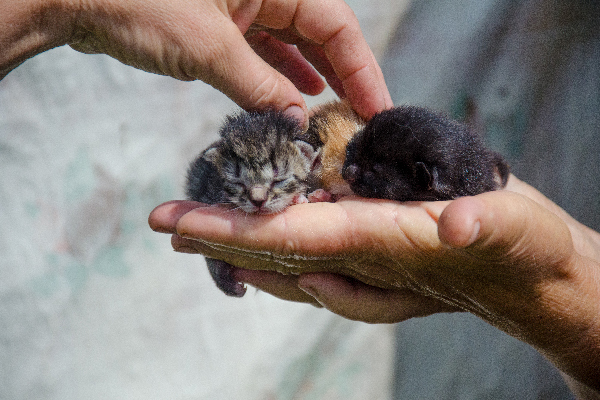 Newborn kittens start opening their eyes in the first week to 10 days of their lives. However, they will not open their eyes widely. As they get more acclimated to a world of light from total darkness, kittens open their eyes gradually. No one should force a kitten’s eyes open for any reason. Kittens are especially susceptible to eye infections during the first few weeks of their lives (any signs of discharge or crustiness warrant a trip to the veterinarian). At 2 weeks old, a kittens’ eyes are totally opened and looking for trouble! All kittens have blue eyes — for a little while, at least! Photography by Cherry-Merry/Thinkstock. All newborn kittens have a few things in common: they’re blind, they’re deaf, they can’t eat by themselves, they can’t eliminate by themselves and they can’t regulate their body temperatures. The other lesser-known fact is that all kittens are born with blue eyes. While adult cats have a variety of eye colors, they all started with some shade of blue, and their eye colors begin transforming around 6 weeks old to their adult hues. So, you found an orphaned kitten with eyes his closed, now what? What should you do if you find kittens with their eyes closed? Photography © Ztranger | iStock / Getty Images Plus. Again, kitten season means the likelihood of finding a kitten in need exponentially increases. Knowing what to do if you find an orphaned kitten who still has his eyes closed can mean the difference between life and death for the vulnerable kitten. The first thing to do is get him to the veterinarian. Neonatal kittens with their eyes closed need around-the-clock care. 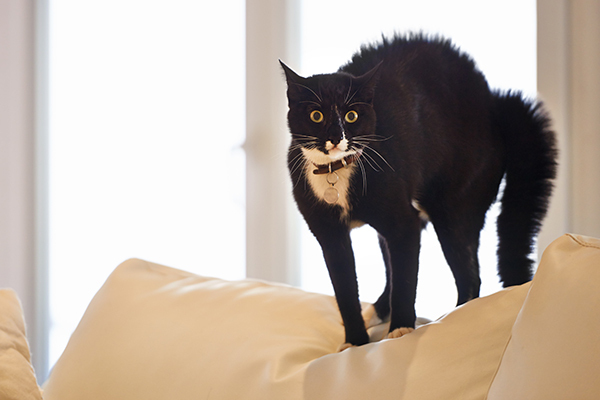 If you have found a kitten and it will take 24 hours before getting him to the vet’s office or to a pet-supply store where you can get the proper formula, there’s a recipe from The Feline Foundation of Greater Washington, Inc. perfect for emergency situations. You can also use goat’s milk in a pinch (do not feed the kitten cow’s milk). Since kittens’ eyes are fully opened at two weeks old, kittens with eyes that are either completely shut or slightly opened require specialized care. Below is a quick guide to how much and how often to feed them. 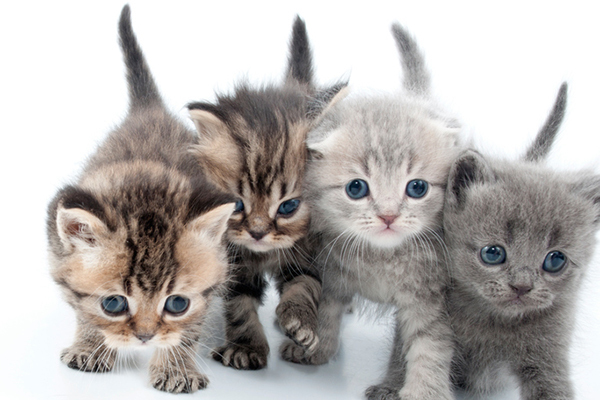 For more information, check out Catster’s guide to feeding weaning kittens. 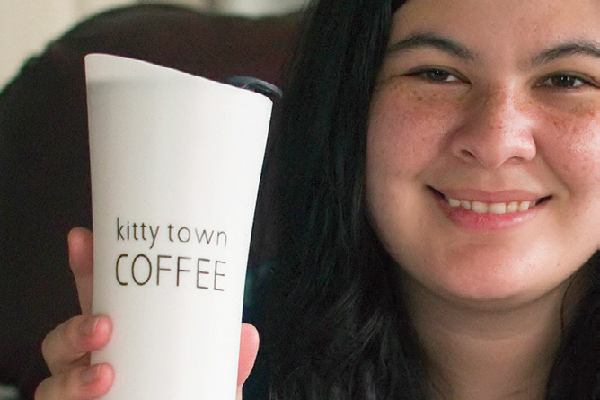 Buy the formula from the pet supply store — such as KMR (Kitten Milk Replacer Liquid). Feed kittens from a bottle with their bellies facing downward. Kittens with their eyes closed further require assistance eliminating their waste and regulating their body temperatures. 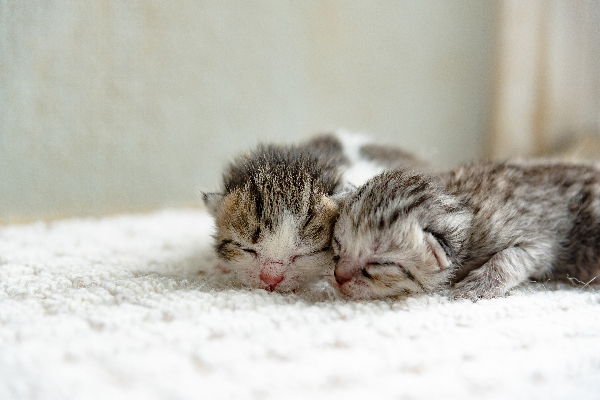 Check out Catster’s article on what to do if you found a stray kitten for best practices on taking care of feline orphans. How do kittens communicate before they open their eyes? How do kittens communicate before their eyes are open? Photography © IpekMore | iStock / Getty Images Plus. The minute a neonatal kitten enters your life, you are communicating with him. 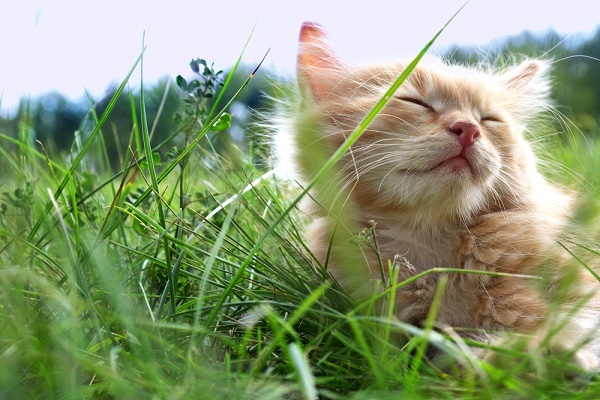 Kittens are born with only two senses — touch and smell. Moving him about in a gentle way mimics what his mother does. The very act of feeding him is letting him know you are his caregiver. Helping him eliminate by stimulating his bottom area with a warm cloth is not just serving as an important function but also a form of bonding. You are his surrogate mother and all your interactions with him are communicating this message loud and clear. Kitten season means shelters are full, and caring individuals are the lifeblood of creating more positive outcomes. Knowing when kittens open their eyes is the first step in saving that cat’s life. Thumbnail: Photography © Kirill_Savenko | iStock / Getty Images Plus. my mom car had babies one kitten eyes are open the other one eyes aren’t open yet. She is increasing in weight, and is taking to feeding really well. I just feel bad when I pick her up to feed or toilet her, because she cries so loudly. It must be so confusing for her. I came here to see when kittens open their eyes. I am hoping that once hers are open, she will be less frightened.